I like sugar and candy more than I really should, though not as much as Gwen. Gwen is the queen of liking sugar, or she would be if she existed outside the pages of Mixed Feelings. For me, my eyes tend to be bigger than my stomach when it comes to eating cakes, candy, ice cream, or sweets in general. Even though I don't make many sweets because I'm trying to lose that last 50lbs, I still collect recipes on Pinterest like it's my job. (That would be a pretty sweet gig, actually.) 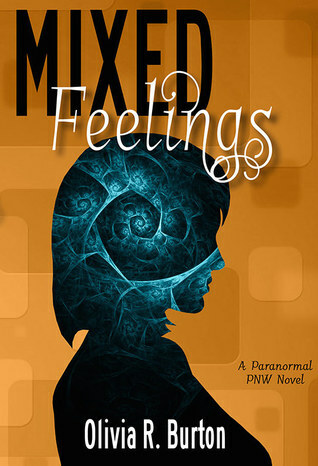 In honor of giving away a copy of Mixed Feelings (and some other goodies!) I'm running down some of my favorite sweets recipes. Cinnamon rolls are an indulgence I generally avoid because they're one of those things that I will eat to excess without realizing it. Fresh out of the oven, they are to die for! My favorite easy way to eat them is to visit Cinnaholic in Berkeley, CA. Unfortunately, I don't live near there anymore, so I have to settle for only getting them when I go to visit visit family. When I want some now! right now! I'll break out the mixing bowls and go to town. I usually let myself eat one or two before packing up the rest and bringing them to work so others can save me from myself. This recipe is vegan, simple, and delicious! 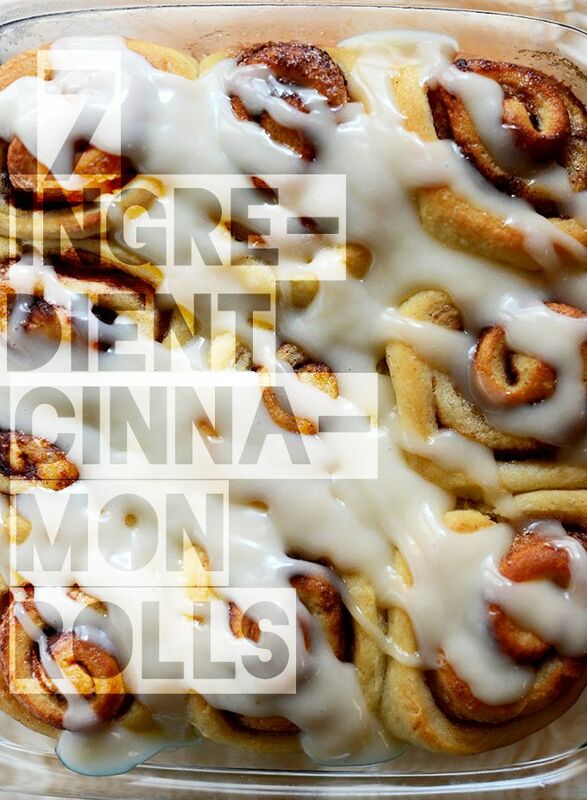 You get that thick, fluffy, cinnamony-sweet deliciousness fresh from the oven. And because you made it yourself, you can eat as many as you want and then just claim to others, "oh no, I only ate one. It was only a batch of three rolls, I swear." I love peanut butter and peanut butter cookies and peanut butter cups and peanut butter oatmeal and peanut butter milkshakes and, uh, nearly everything peanut is my jam. (See what I did there?) My dad used to occasionally make peanut butter cookies when I was a kid and the most fun part was always using a fork to smash the criss-cross into the dough. I'm not sure if this has a function or if it's just something everyone's always done. Unfortunately, I've never been able to make a traditional batch of PB cookies that were as good as the ones my dad made. These suckers come pretty close, though. 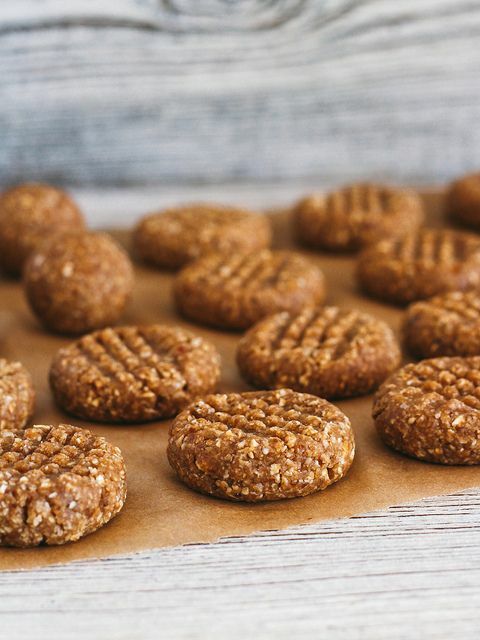 Even though they're not baked, they totally capture that perfect soft, sweet, peanut butter flavor I'm looking for when I want a nutty cookies snack. You have to store them in the fridge, but if you're like me they won't last long enough to need storage. Tahini is a flavor I didn't discover until recently and I'm pretty sad that I haven't been enjoying it all my life. It's kind of like peanut butter (which may be why I like it so much) and so it naturally goes really well with chocolate. 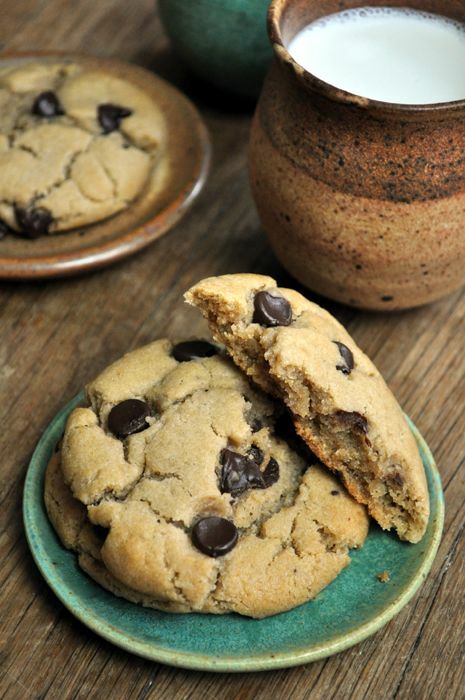 Tahini's great for adding an extra little something, and these are no harder to make than regular chocolate chip cookies. I didn't have molasses when I made them, but I subbed in maple syrup and they were still really good. I had to give most of the batch to a friend so I wouldn't end up eating them all, and he was very angry at me for presenting him with such a bounty: he couldn't stop himself from finishing them in one night, either. Hopefully you have better self control than we do. I didn't intend this list to be so nut butter filled, but clearly I am single-minded. This isn't a difficult recipe at all, which is probably bad if you don't intend to make it over and over in one sitting until you've used up all your peanut butter. It amounts to what you'd think it would: hot cocoa with peanut butter, but it's so much tastier than I could possibly explain. 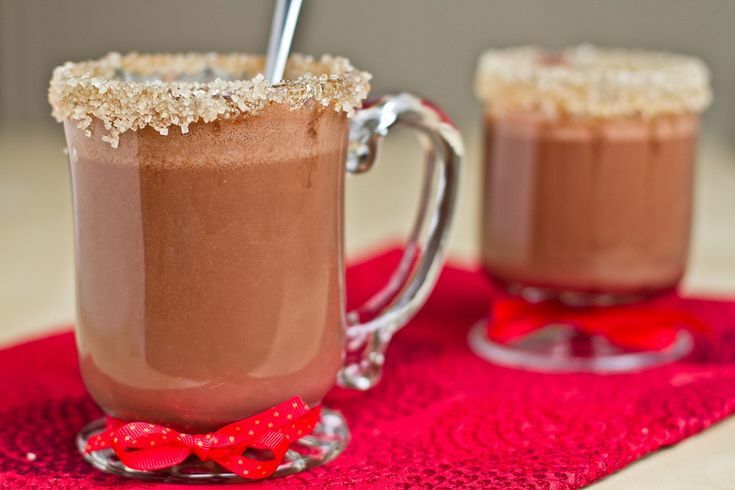 Even if you don't go as elegant and homemade as the recipe suggests and you use a store bought powder, non-dairy milk, and Skippy, you won't regret it. Like many things, I didn't like rocky road as a flavor combo until after I went vegan. I think it was mostly the marshmallows, which always grossed me out. I didn't even know what they contained yet, I just didn't like them. Since choosing a compassionate lifestyle, though, I've discovered that the vegan versions of things, like rocky road, are super delicious! 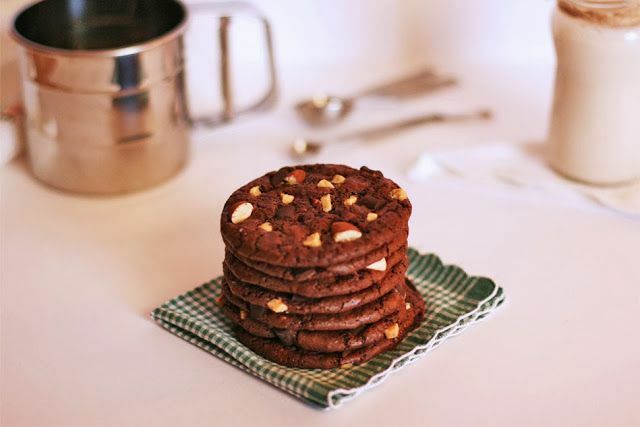 I've made rocky road cookies several times and I've never once regretted it. Even when I was out of white chocolate chips, I tossed some Dandies in there instead. They melted and looked a little sorry, but they were delicious! Now that I've got you craving sugar, I present you with a chance at winning some goodies! In case you missed the launch of Mixed Feelings and didn't get a chance at ordering a bundle of goodies, I'm giving you the chance to win them! #4: Samples of the Mixed Feelings perfumes by Common Brimstone. Gwen: Lilac, violet, white chocolate, coconut, buttercream, vanilla. Each perfume sample is 2ml of delight! The fork bracelet can be adjusted to your size, but the necklace probably won't block your emotions from those around you. Head on over to Goodreads to enter the giveaway!